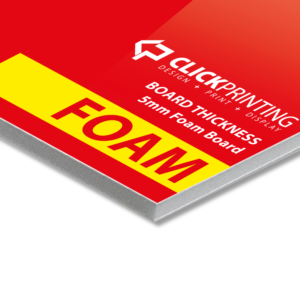 Got an event, show, product, service that you want everyone to see then rigid signage are a great, lightweight and low cost advertising signage solution. 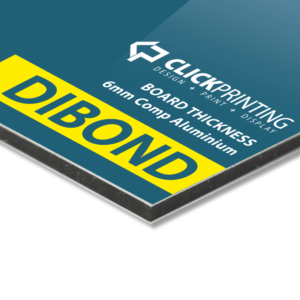 Rigid Signage are widely used and very popular as they are ideally suited to indoor and outdoor advertising, whether it be for short or long term use. 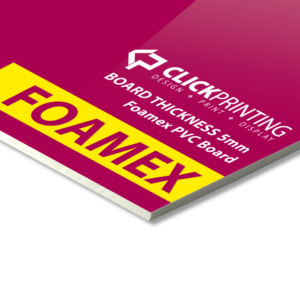 ClickPrinting.ie offer a number rigid signage solutions, our substrates include; corriboard, foam core, foamex and Dibond. All signs can be custom sized to suit your requirements. 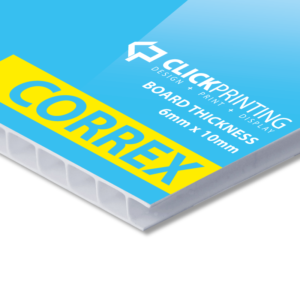 Standard sign sizes however range from A3 to 8ft x 4ft and are produced single or full colour. Printing is done 1 side only. Promote yourself or your business today with a large sign that will get you noticed by the masses. We also provide a professional design services that will help your advertising engage with your customers.